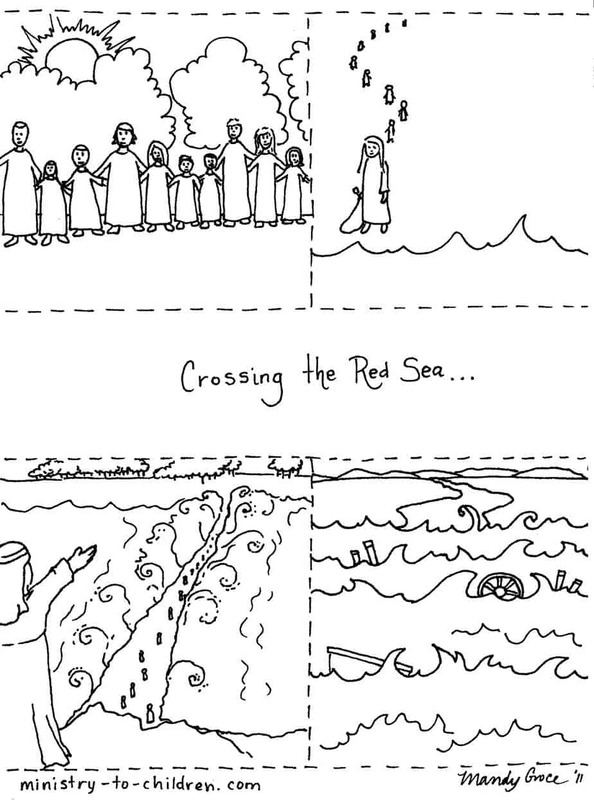 This free coloring page illustrates how the Moses & the people of Israel crossed the Red Sea in the book of Exodus. 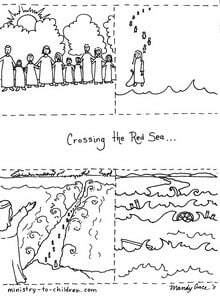 It would be an excellent addition to your Sunday School lesson on that Bible story from Exodus 13:17-14:31. Directions: Click on the download links above to select each file. The PDF is easier to print, but the JPEG allows advanced users to edit the image. 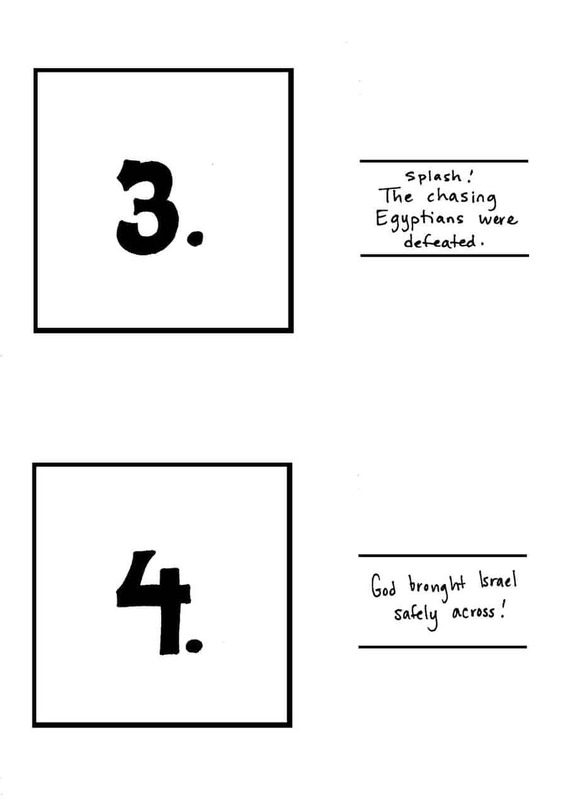 Have the children color the main story page with crayons or colored pencils. 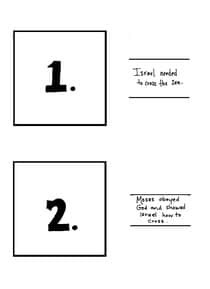 Allow them to cut out the four panels and glue them in order on the numbered pages. 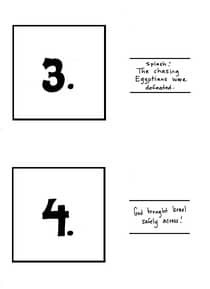 If possible, print the numbered sheets on colored paper to create a framed picture effect. 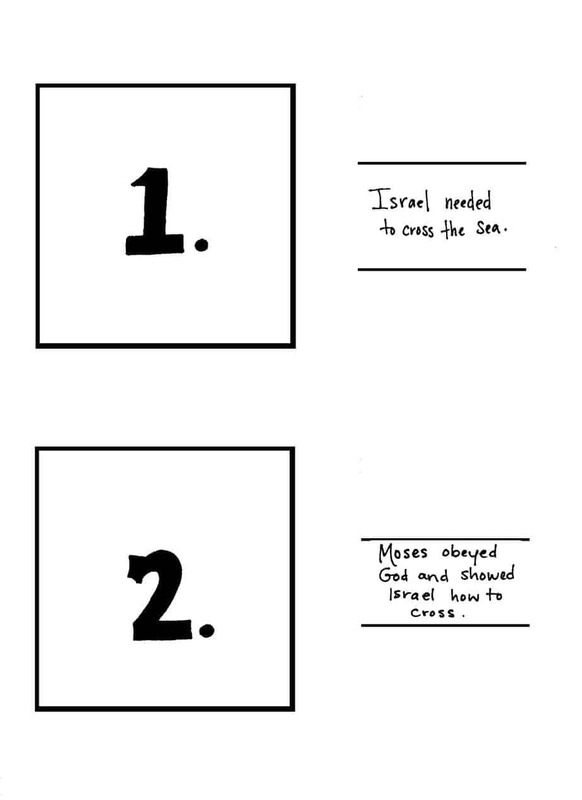 We hope you enjoy this coloring page about Moses & the Red Sea. You can click here to share your appreciation with Mandy for her artwork. Here is the link to browse all our 100% free Bible coloring pages. Tony Kummer (Editor) reviewed & updated this page on : November 16, 2015 at 9:20 pm. All our content is peer reviewed by our readers, simply leave a comment on any post suggest an update.